Coliseum Probe Begs The Question: Why Didn't The City Know? The venue was called the U.S. Cellular Coliseum for its first decade of existence. 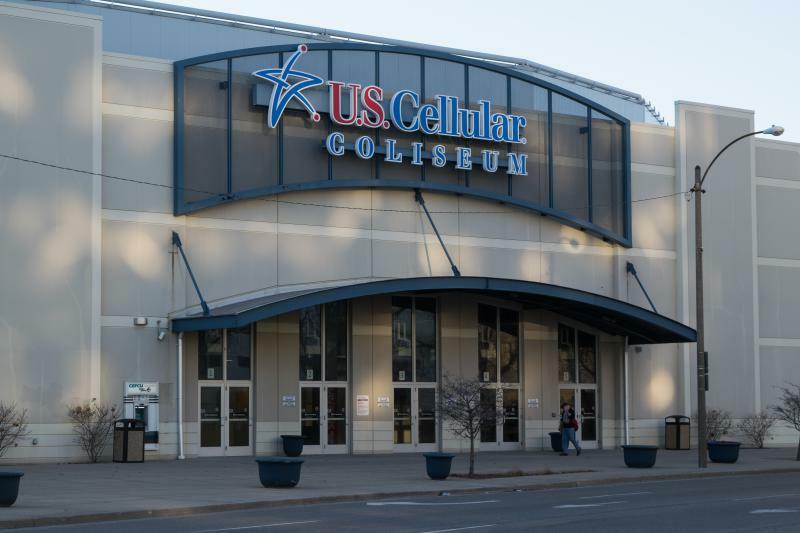 It’s typically in bad taste to blame the victim, but the investigation into mismanagement at the U.S. Cellular Coliseum begs the question: Why didn’t the city realize what was going on? The indictments unsealed Monday allege that the Coliseum’s managers started skimming money for themselves in 2007—just a year after the city-owned arena opened for business. 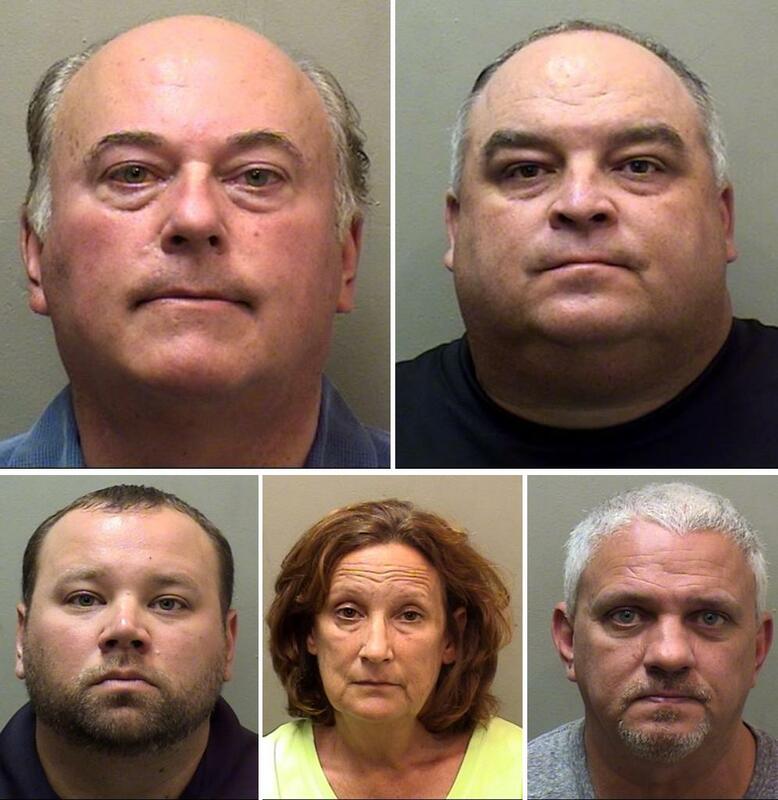 Authorities say the alleged ongoing scheme wasn’t uncovered until new managers took over in March 2016—more than seven years later—and they noticed apparent “discrepancies” related to the old managers. City officials say they can’t say much due to the ongoing criminal investigation. All five suspects are due in court at 10 a.m. Friday for an arraignment. "No city employee or official is alleged to be involved in any of the charges that were filed." It also raises questions about the city’s financial checks and balances. The Coliseum’s financials are audited each year. In 2015, the accounting firm Sikich did not find any problems with the Coliseum’s financial reporting. The Coliseum’s managers were cited in 2014 for an “inadequate system of controls over the preparation of financial statements” caused by a lack of oversight by management. That problem could have lead to “potential material misstatement” of financial statements. That was apparently fixed by 2015. The city’s auditors were unable to “obtain all of the documents necessary to complete an audit” of the Coliseum in 2016 due to the Illinois State Police investigation, which began that year. "Sikich has and intends to continue to fully cooperate with law enforcement and the City of Bloomington regarding the criminal investigation and the pursuit of justice as it relates to alleged criminal acts during periods we were retained by the City to provide audit services," Sikich told GLT in a statement Tuesday. Bloomington City David Hales addressed Coliseum audits in September 2016, when the city announced the State Police investigation. "Although the Coliseum’s accounts are audited every year by an independent audit firm and have received a clean opinion each year, the contract negotiation and management transition allowed us to do a much deeper dive," Hales said in a statement to GLT. "It is important to note that the annual audit incorporates all aspects of Coliseum operations. In addition to the annual audits, the city also brought in specialized internal auditors in 2015 for assistance in reviewing various Coliseum accounting and operational issues. "This work was performed by the Bronner Group, who started working with the city on a special audit of the Coliseum contract in March 2015. The Coliseum is a unique facility under the city umbrella, and we have been working diligently over the last couple of years to improve its internal controls, operations and auditing functions," Hales said. "In my opinion, being able to replace the 10-year-old legacy management agreement that this city inherited with an ‘industry standard’ contract that contains both clear terms and conditions, as well as safeguards for the city, was a real triumph and turning point. But while there is great opportunity and hope for the future, we cannot ignore issues that may have occurred in the past." John Butler, who owned the Central Illinois Arena Management (CIAM) company that ran the Coliseum from 2006-2016, faces 44 counts in the indictments—the most of any defendant. His charges allege nearly $1 million in stolen or diverted money that should have been paid to or retained by the city. Butler’s attorney said he’ll plead not guilty to all charges. The city’s 10-year contract with CIAM began in 2006. CIAM received a commission of 10 percent of proceeds of sponsorship sales, suites and club seats, and an annual fee representing 4 percent of gross revenues of the Coliseum. CIAM also received a 20 percent share of the Coliseum’s net operating income. According to those terms, the city paid CIAM between $242,054 and $314,814 each year from 2012-2015, the city’s financial reports show. Those payments occurred even as the Coliseum posted operating losses in four of the past five years. Its larger-than-expected operating loss in 2016 was $673,518. It lost $494,230 in 2015. CIAM and the city parted ways in spring 2016, as city leaders pushed for more financial protections in any new deal. VenuWorks was hired soon after and continues to run the Coliseum today. The city’s new five-year contract with VenuWorks has some strong language related to oversight. “A complete audition and accounting of food and beverage sales, as well as any merchandise sales … shall be made available to the (Bloomington) city manager within 10 calendar days after each event is held,” the contract states. It also states that the Bloomington city manager has the right to approve VenuWorks’ local executive director and finance director. VenuWorks is paid $114,000 annually as a base fee, plus 5 percent of gross food and beverage sales and 5 percent of gross sales from other income streams, like advertising and sponsorships. Those commissions are “subject to audit by the city,” the contract states. Those food and beverage sales can add up. At the Chris Stapleton concert on April 29, for example, the venue saw $125,000 in food and beverage sales, VenuWorks told the city. As recently as September 2015—allegedly as the scheme was well under way—city leaders praised Butler and Rogers for their management of the Coliseum. "We have, and always will be, committed to seeing crimes committed against the City uncovered and prosecuted." “The city is fortunate to have a group of very dedicated and talented individuals, under the direction of John Butler and Bart Rogers, managing the City-owned Coliseum,” City Manager Hales said in a press release on the venue’s finances. Hales became city manager in 2008. In a statement Monday after the indictments were unsealed, Hales said “the city is extremely grateful for the hard work of the State Police.” Hales recently accepted a new job in Joliet, starting next month. “This has been a long and thorough investigation to date and we appreciate the patience of the public during this process,” Hales said Monday. It remains to be seen how voters will respond to these allegations during the next municipal election in spring 2019. With the exception of Ward 9’s alderman Kim Bray, all of the other eight aldermen were in office for at least a portion of the time the alleged scheme took place. Mayor Pro Tem Karen Schmidt has been an alderman since 1999. She’s currently leading the city while Mayor Tari Renner is on a temporary medical leave of absence. 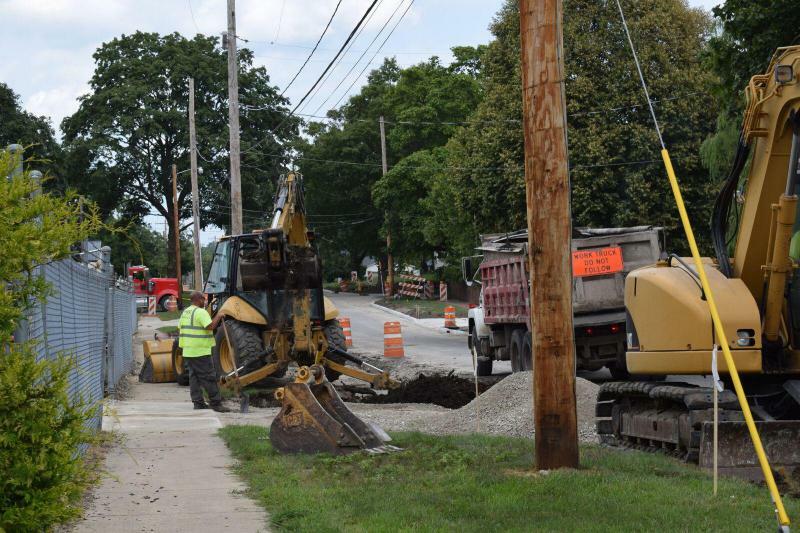 Most Bloomington homeowners will see a $6.06 increase in their monthly utility bills starting next May. 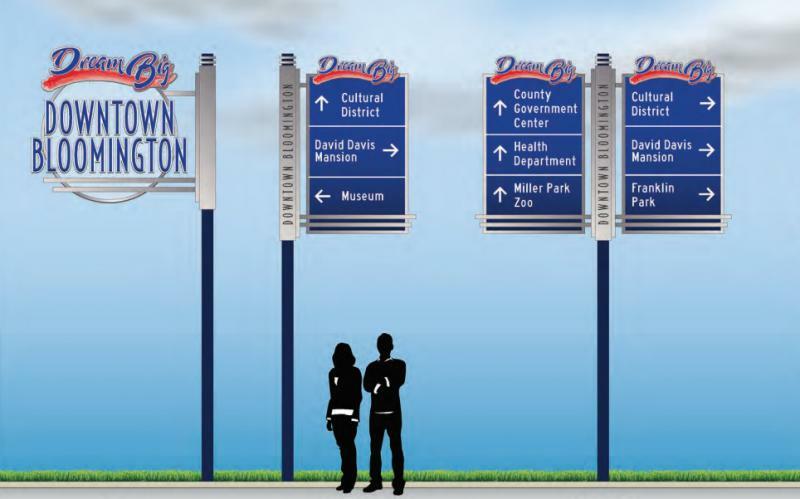 Bloomington’s Downtown Signage Committee is already back at work, looking to develop a new design for wayfinding signs that will get a warmer reception from aldermen.